The 4 day course for The Applied Microbial Remediation Technician (AMRT) covers mold and sewage remediation techniques to individuals engaged in property management, property restoration, IEQ (Indoor Environment Quality) investigations or other related professions. Emphasis will be placed on teaching mold and sewage remediation techniques to individuals who will perform these procedures in the field. Course graduates will be adequately equipped to perform mold remediation services, while protecting the health and safety of workers and occupants. The Restoration and Cleaning Industry recommends professionally trained restoration technicians that can better understand the need for mold remediation, and its proper protocol and response. Using industry approved remediation procedures and safety protocols are key to controlling any safety issues and escalating costs. The longer the remediation is delayed, the higher the cost of remediation. 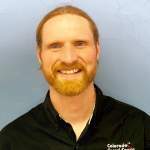 Recently, SteamMaster’s sister company Colorado Crawl Space promoted Harrison Ratzlaff as the Manager of the division for crawl space repair and encapsulation. He is certified in Mold Remediation, Water Damage Restoration and had his training 2 weeks training in Connecticut. SteamMaster is the only local company in the Vail Valley with all its employee Industry Certified with IICRC qualifications, including office staff to better understand our client and customers needs.